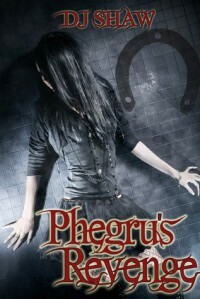 Phegru’s Revenge is a creepy, scary read. And I was immediately intrigued by the dark horror of the story. After years of torment and torture in the basement of a man proclaiming to be a priest attempting to exorcise a demon from you, Kylie is finally released. He expects her to be a broken mess, but he didn’t know that breaking Kylie’s spirit and soul allows Phegru to become stronger faster. This is a fast paced book that I read in one sitting. Though short in length, it is full of suspense and action. I love this creepy little story, and I plan to read more from this author.